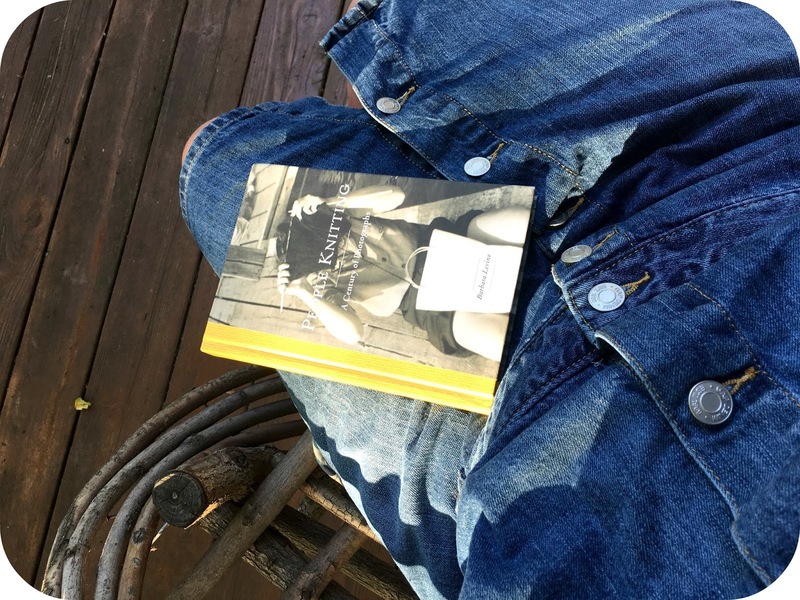 You may remember that amazing book that came out a couple years ago that I have shared a few times, People Knitting A Century of Photographs by Barbara Levine. I really love it and find it really inspiring in the way she took a collection of photographs and created a book to preserve these amazing images of this incredibly old craft that still holds its own in this modern world. I will let you in on a little secret- I have a deep desire to be an archivist someday! I think that is why I find the notion of finding old photos and putting them in the context of this collection so intriguing. Since a favorite pastime of mine is meandering through the dusty isles of antique shops and flea markets I suddenly started to focus on those hodgepodge piles of photographs I would often see in the booths. I would be saddened that these piles of someone's relatives would just end up in a box with a random dollar amount scribbled on the back in pencil. Partly due to a personal place of family identity, partly in inspired by Barbara's book, and partly with the hope of preserving, I have started collecting photos myself. 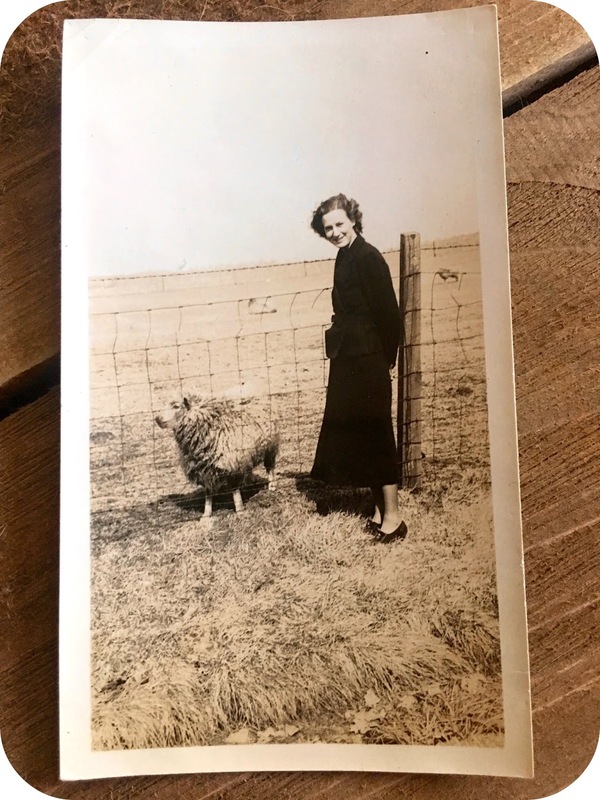 Sometimes I am looking for something very specific like knitting, interesting local photos, children with sheep, just sheep, vintage 4-H photos, and sometimes certain photos just grab my attention! I thought I would share some every once in a while. Some will be from my own family and others that I have collected. Who knows, maybe a long lost relative will come across it someday! This first picture I wanted to share is not a family picture. I found this on Etsy, it came from Oregon but it is from the Midwest. I love casual composition of this photo juxtaposed with her clothes and shoes! 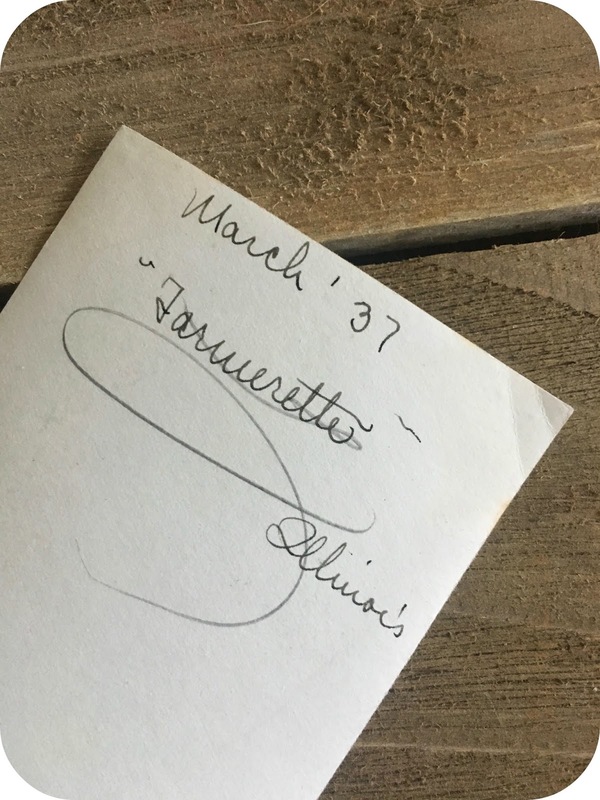 On the back it is dated March "37 Illinois, and I am pretty sure it says "Farmerette" what do you think? I have no real plan at the moment on what I want to do with this starting collection but for now I love to show to the kids I teach knitting so they can grasp how beautiful and simple this craft is. It is just as valid in our culture today as it was in 1937! I hope you enjoy this as much as I do and I look forward to sharing more with you!